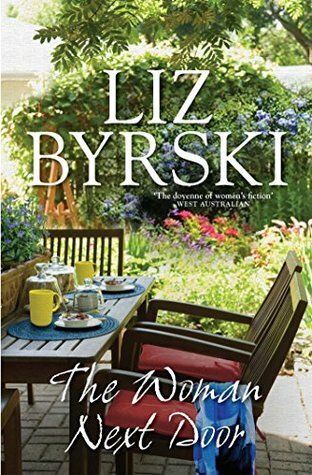 Best-selling West Australian fiction writer Liz Byrski is back in July 2016 with her eighth work of fiction, The Woman Next Door, which tells the story of a cast of characters who live or have once lived on fictional Fremantle location, Emerald Street. As is to be expected, Byrski has created a colourful cast of characters who subvert the traditional tropes about what older characters should be like. Emerald Street is a loving environment, where neighbours pop in and out of each others' houses with ease, and gates connect backyards to facilitate easier sessions for drinking and gossiping on the veranda. At the beginning of the book, we meet our four households; Joyce and Mac who have decided to experiment with living apart for a year to pursue separate goals without actually separating; Dennis and Helen, whose move to a picturesque East Fremantle apartment hasn't brought them the marital bliss they'd thought it would; Polly, a biographer and former screenwriter who thinks she may have found love during a fire evacuation; and Stella, once the darling of Australian stage and screen, whose mind is beginning to play tricks on her. The women, (aka the women next door), are the real stars of the show, though Mac is allowed a little adventure of his own. My favourite characters were Polly and Stella-- Stella because of her energy and wit, as well as the loving portrayal of the events that befall her, and Polly because I could really relate to her. Both Polly and Stella are unmarried and have no children, but they've both had long and interesting careers. When Polly meets Leo and they begin an inter-continental love affair, the thing she most has to be careful of is not subverting her own interests in the saving of his. Polly writes biographies of women who did unusual and under-represented things, and I could see a parallel between that and Byrski's own previous publication about the nurses at the East Grinstead hospital. There are moments in this book where plot points seems a touch convenient, but this is a feel-good book, and they add to the warmth of the overall effect. I could easily see this book adapted as a film, as it had a very Four Weddings and A Funeral sort of vibe to it, and touched on a lot of modern themes. For lovers of Fremantle, the scenery is realistic and recognisable, and the sentiments of the characters (most of them) certainly go with Fremantle's cruisy attitude to life. I thoroughly enjoyed this book, and I gave it four out of five stars. Want to see me interview Liz Byrski about this book on Tuesday July 12th at 2pm? Click here to be redirected to the event's Facebook page.